A449 LTD are an RIAS Chartered Architecture Practice based in Edinburgh with a proven track record of delivering high profile refurbishment, extension and new build projects on numerous challenging sites across Scotland and the UK. We have a growing reputation for high quality design recognised through our listing at #34 in the top 100 practices in Scotland. We have been finalists in national design competitions and were runners up at the 2014 EAA Building of the Year awards. We have also been recently selected by the Scottish Government to help promote good quality housing design and placemaking throughout Scotland. We take pride in a role that allows us to interpret and improve how people interact with buildings and spaces and believe in the efficient use of budget, materials, space and light. DS Architecture is an exciting architectural design studio based in Portobello, Edinburgh. Owned and managed by chartered Architect Dugald Skene, DS Architecture offers a wide range of services to provide every Client with imaginative, innovative and efficient design solutions that work for their specific needs. 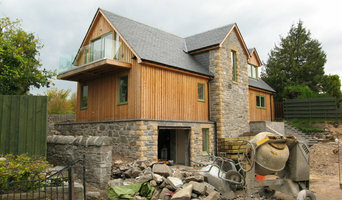 Architectural consultancy based in The Borders and Highlands with over 25 years’ experience in architecture. Matt Hamlett BSc, BArch I have over 30 years experience in architecture, working both as a designer and a senior technical specialist. In this time I have worked on a variety of projects ranging from shopping malls, atrium office developments, flatted residential developments, mansion house conversions, listed buildings, steading conversions, attic conversions, to private houses and extensions. For the last few years I have run my own business, and have been able to pursue my work in a far more rewarding manner, dealing directly with clients, building relationships, offering a bespoke design service, tailor made to each individual client. In my experience, successful design is a matter of collaboration. It involves the client, the builder and the architect all working together, and begins with listening to the client’s needs. Meeting people to discuss their aspirations, developing a design, and working as part of a team to deliver a building, can be exceptionally rewarding. Domestic buildings are where we spend the most time. Whether designing a house, refurbishing an old one, or converting one, you are affecting people’s lives. Aitken Turnbull are an established award winning practice based in the south of Scotland with commissions throughout the United Kingdom. We have considerable experience in a wide range of projects types and are well resourced in all aspects. Our aim is to provide innovative, efficient design solutions whilst respecting the traditional values of a professional service with close client consultation and a strong emphasis on the management of a project. We pride ourselves in quality of design and fitness for purpose. The high proportions of repeat and referred business is testament to our success. 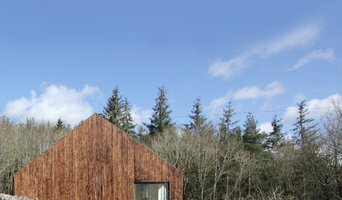 Following his graduation from Scott Sutherland School of Architecture in Aberdeen, Roy worked for practices in both Edinburgh and Glasgow between the years 2000 and 2006. During this time he was to qualify as an architect and attain his registration. A move to Sydney, Australia in 2006 was to present him with the opportunity to involve himself with the design and delivery of a variety of projects for some award-winning practices. He returned to Scotland with the intention of starting a small practice that would blend considerable experience and principled design with a philosophy that was dedicated to the aims and aspirations of the client. Roy Montgomery Architecture was established in 2012. If you require a professional customer focused Edinburgh based building company relax, despite the vast number of building companies in Edinburgh you have come to the right place! Bruntsfield Construction Limited is a highly experienced building and construction company based in Edinburgh who pride themselves on quality workmanship and customer care. Whether you simply need a shelf hung or a complete package from plans to completion Bruntsfield Construction is here to help! LSM Architecture is an 'RIAS Chartered Practice' based in Edinburgh. We are a small, friendly team who aim deliver high quality and fun architecture, with a focus on providing a great, engaging customer experience. We focus on domestic and residential projects where imaginative ideas, efficient use of space, and clever design solutions are important to us and our customers. Projects range from internal home alterations, attic & garage conversions, extensions and new-build homes. 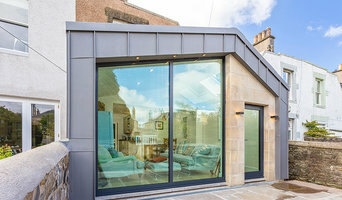 Welcome Erdal Architects is an established architecture practice based in Edinburgh and involved in projects large and small all over Scotland. Much of our work is private and residential housing for individual clients and developers, ranging from minor alterations to the occasional clachan, but we also get involved in office, shop, community and restoration projects. For many clients a building project is the largest single investment they will ever make and we are always aware that we are being entrusted with the responsibility to guide them safely through the complexities of the building process. Working in partnership with our clients, we delight in creating elegant, life-enhancing architecture. James Robertson Architect is a sole practitioner based in Edinburgh who has worked primarily for private clients wishing to maximise the potential of their own homes. James collaborates with fellow architect Pippa Swan who has many years experience of working with historic buildings. 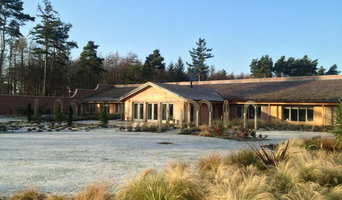 Individually, and as a team, James and Pippa focus primarily on converting, remodeling and renovating historic buildings both in and around Edinburgh’s New Town, where they have successfully converted and remodeled several ‘A listed’ properties, and within a rural estate context where they are able to perform estate master planning. James Robertson Dip Arch ARB James Robertson worked as an architectural technician gaining a strong understanding of building construction before studying architecture at the University of Manchester where he gained his professional qualifications in 2001. He founded his practice in Edinburgh in 2006 after working in a number of small design led architectural practices and has a keen interest in the conservation of historic buildings. Pippa Swan Dip Arch ARB LLB Pippa Swan qualified as an architect in 1983 and has worked with design practices in both Hong Kong and Scotland. Her work has focused on alteration and renovation projects for private clients and is often centred on substantial historic buildings. She has a real ability to solve space problems as well as a flair for making houses into comfortable homes. She has a developing reputation as an expert in respect of building defects, contract disputes and professional negligence claims against architects. 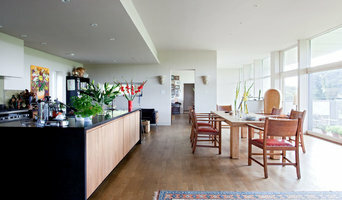 Family orientated architect providing architectural solutions to individual circumstances. We are an award winning architecture practice that specialises in user-led design projects. Our work covers a range of disciplines including architecture, landscape design, public art and visual arts projects. We are an architecture, interiors and urban design practice interested in the dialogue between old and new in built form and landscape. Our approach is a holistic one involving historical and analytical analysis of the site. Our strength lies in getting to the nub of issues through investigation, dialogue and presentation of clear inclusive concepts. We run with just two installation teams with one headed by me, Jim Turnbull and the other headed by my son, Daniel Turnbull, so you are assured of receiving the highest level of commitment and quality due to our un-paralleled experience and skillset and not least of all because it is our name above the door.